The pedestrian zone and the related buildings were completely renovated in the frame of the downtown reconstruction project. 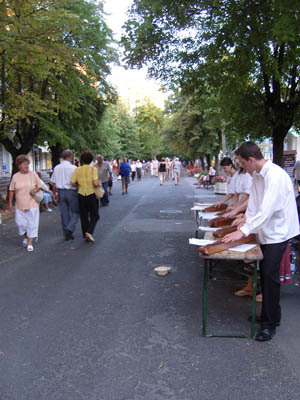 The entire length of Rákóczi Street is a pedestrian zone. 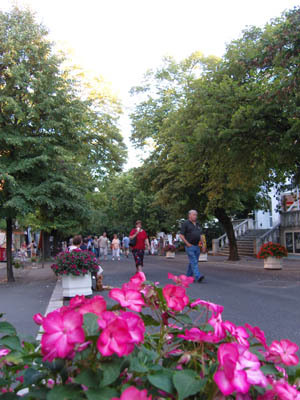 This street connects Széchenyi Street (which is the main street) with Dr. Schulhof Vilmos Promenade. The Tourinform Office is located at the beginning of Rákóczi Street. If you are coming from Széchenyi Street you will find the Office is on your right. 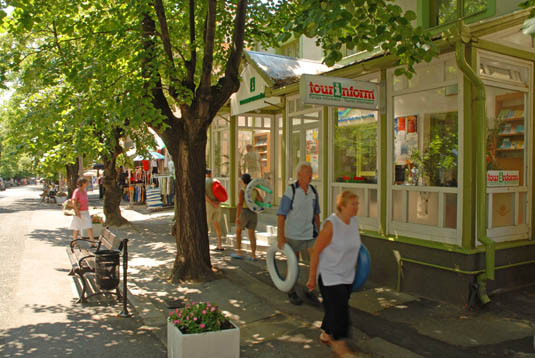 The tourist information office is open all year round and offers programs in the area and tourist information for the visitors. The office also provides bicycle rental services. 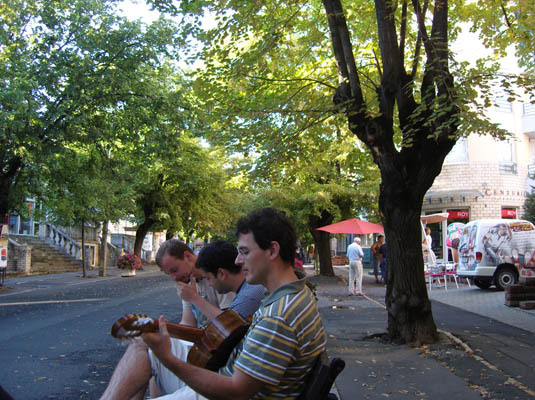 If you carry on down Rákóczi Street towards the thermal bath it is worth looking at the buildings hiding behind the trees among boutiques, cafeterias and ice cream parlours. 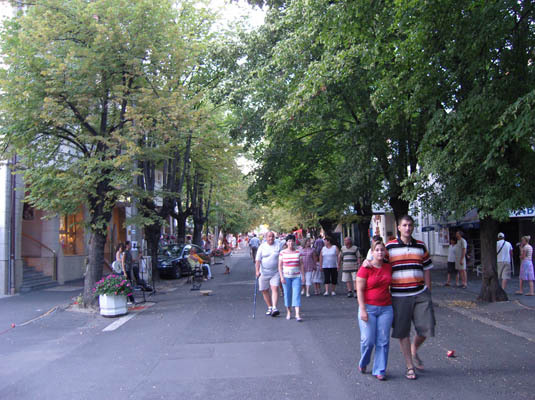 The pedestrian zone is bordered by villas built in the 1920s, which are nowadays – after significant restoration works- accommodate apartments and cafeterias. Fontana Motion Picture Theatre (Fontana Filmszínház) is located half way down Rákóczi Street and opposite the id. 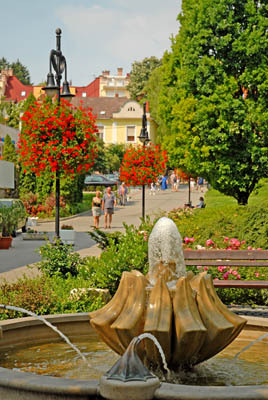 Dr. Moll Károly Square with a fountain and the full size bronze statue of Károly Moll. Károly Moll is the „father” of weight bath, which he developed in Hévízin the 1950s. The building of the winter bath is situated at the end of the street. 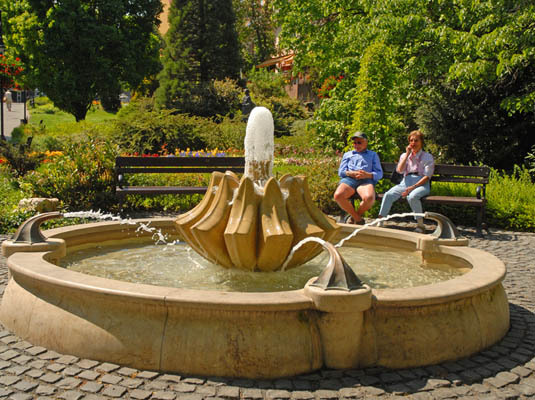 The Therapeutic Centre (Terápiás Centrum) was handed over in 1968, which is nick-named by the locals as the winter bath. It was reconstructed in 2004 and there are plans to extend and further develop the building in the near future. We can view the Pantheon on the external wall of the building, and in the foyer the Jupiter stone is exhibited, which proves that people were living in this area already 2000 years ago. Hunguest Hotel Hel…HévízVörösmarty Mihály utca 91. KISS11 ApartmanHévízKisfaludy utca 11. Hunguest Hotel Pan…HévízPetőfi u. 9. Apart Júlia VillaHévízZrínyi Miklós utca 38. Danubius Health Sp…HévízKossuth Lajos utca 9-11. Danubius Health Sp…HévízKossuth Lajos utca 13-15. Hévíz Castrum Gyóg…HévízTópart Erzsébet HotelHévízErzsébet királyné útja 13-15. Hotel AquamarinHévízHonvéd utca 14. Williams'HausHévízDr. Babócsay József utca 12. Palace Hotel HévízHévízRákóczi Ferenc utca 1-3. Hotel Spa HévízHévízDr.Schulhof Vilmos sétány 1. Korona Panzió Étte…HévízSzéchenyi István utca 43. Fábsits Panzió &am…HévízDr. Babocsay József utca 32. Klára VillaHévízAttila utca 9. 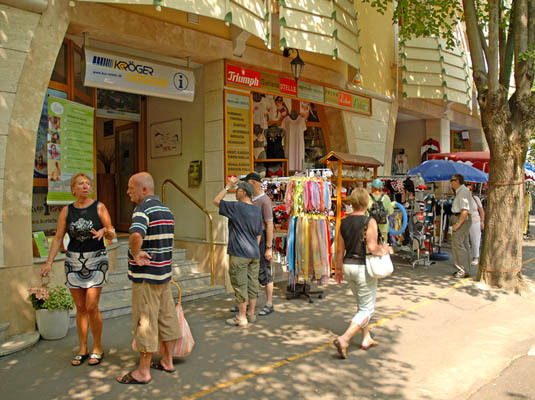 Apart Hévízi HázHévízZrínyi Miklós utca 36/B. Pál ApartmanHévízDr. Babocsay József utca 39/A OREL AppartementsHévízBartók Béla utca 11. Guszti VillaHévízSzéchenyi utca 18. Hilda VendégházHévízKodály Zoltán utca 47.